A flamenco enthusiast from Sweden explains her lifelong passion for the fiery dance traditions of southern Spain. Then writer Will McGrath tells us what he learned from his neighbors while living in southern Africa's small mountainous nation of Lesotho. 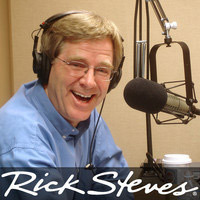 And Rick checks in with listeners to hear how the mistakes they've made as travelers became openings to connect with local culture. Rick noted several of his favorite venues for viewing a flamenco performance in Seville on his blog. Contact information for Åsa Danielsson in Stockholm is on the Viator tour guide website. Will McGrath wrote "Everything Lost Is Found Again" to describe his experiences living in Lesotho. Will writes about working with children affected by the AIDS epidemic in Lesotho.